NSAC-Houston / Sugar Land, also known as Conlon Psychological Services, is located on the southwest side of Houston, just outside Beltway 8, in Sugar Land. The clinic is located less than 15 minutes from the Houston Galleria, and is conveniently accessible from Katy and other areas near Sugar Land. The mission of Conlon Psychological Services is to build positive relationships, by capitalizing on an individual’s strengths to relieve symptoms and to improve behaviors and negative perceptions that get in the way. This mission is accomplished by providing the highest quality, evidence-based services to clients. Diagnostic and treatment approaches are tailored to the needs of the individual, but may include Cognitive Behavior Therapy (CBT), Exposure and Response Prevention (E/RP), behavior management, and social skills supports. 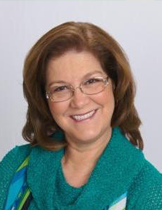 Dr. Celeste Conlon is the founder of Conlon Psychological Services. She is licensed in Texas as a psychologist and as a school psychologist (LSSP). Dr. Conlon received a Ph.D. in Educational Psychology from The University of Texas at Austin and a Bachelor of Science degree in Psychology from Arizona State University. She has completed advanced training in CBT for both Anxiety and Depression at the Beck Institute for Cognitive Behavior Therapy in Philadelphia, and a certification program in OCD treatment through the International OCD Foundation’s Behavior Therapy Training Institute. For more than 25 years Dr. Conlon has worked with children, adolescents, and adults. She regularly sees individuals and families from diverse backgrounds and cultures. Dr. Conlon treats individuals with social anxiety, selective mutism, OCD, panic, phobias, depression, hoarding, skin-picking, hair-pulling, tics, ADHD, and high-functioning autism. Prior to private practice, Dr. Conlon worked in several school districts where, among other activities, she conducted psychological evaluations, developed behavior interventions, and provided individual and group counseling for anxious adolescents. She developed intervention programs for students with excessive absences from school (school refusal often due to social anxiety, panic or OCD). She has trained parents, mental health professionals and educators within multiple school districts to implement these interventions.